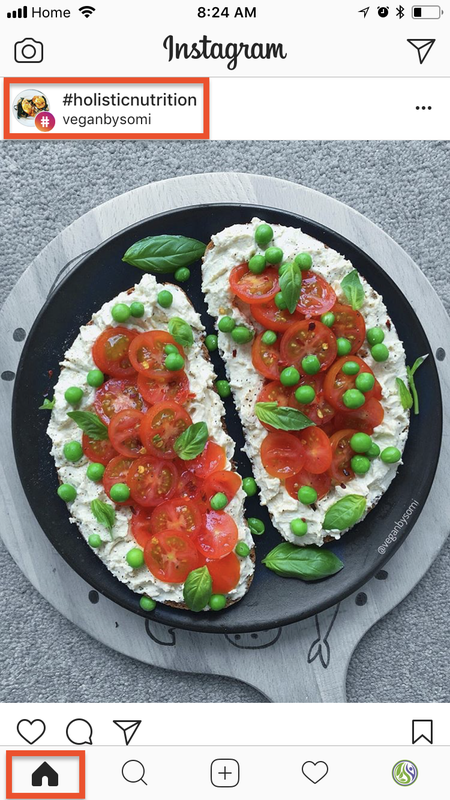 With almost a third of all internet users on its platform, Instagram remains one of the best places to showcase your nutrition business in 2018. But with more than 25 million businesses in the mix, how can you break through the noise and get found by your ideal clients? In this article, we will help you find the ideal hashtag strategy for your nutrition business. This will bring you more engagement, more fans, and a unique change to grow your client base through social media. In December of 2017, Instagram released an important update that allows you to follow Hashtags. These hashtags will now appear in your feed along with the accounts/people that you are already following. It means that by using the right hashtags, you can put your posts in front of an audience that doesn’t know about you yet but is already interested in what you have to provide as a practitioner. Step 1: Search and select a hashtag to follow. Step 2: Follow the hashtag you selected. Step 3: See the hashtag you followed in your feed. This organic traffic will bring you more likes, more comments, more followers, and more chances to convert these people into your nutrition business funnel. 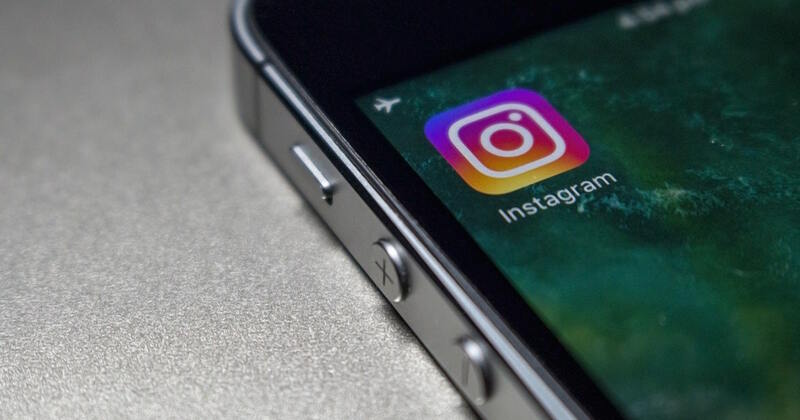 In today’s article, we’re going to go over the hashtag strategy in detail and give you the tools to level up your Instagram game for business. Each Instagram post can contain up to 30 hashtags. The more popular the hashtag, the more people are using it and following it. But if you choose to only use hashtags that are very popular (e.g. 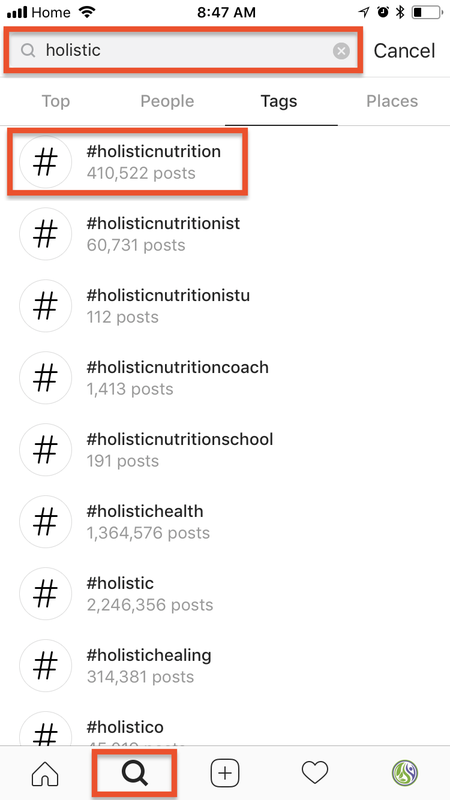 #love, #lol, #nutrition, etc…), your post will most likely be pushed out of sight by all the other posts that use this same popular hashtag. What Hashtags Should You Select For Best Results? 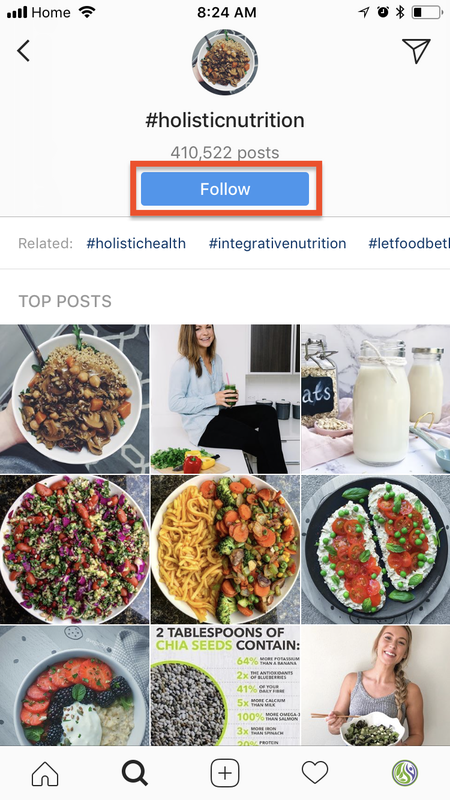 To avoid getting pushed aside by the bigger Instagram accounts using common tags, you will need to organize your posts in a few different categories before you start picking hashtags. This targeting will increase your chances of reaching the right audience on Instagram. If your Instagram strategy is well laid-out, you should have at least 3-5 different post categories that you publish throughout the week. Start by listing your post categories before moving onto the next step. For each category, you’ll need a list of tags that range from less popular to more popular to guarantee the most chances of getting found by new followers. Note: a hashtag that has 100’000 posts will get about 200 posts per day. 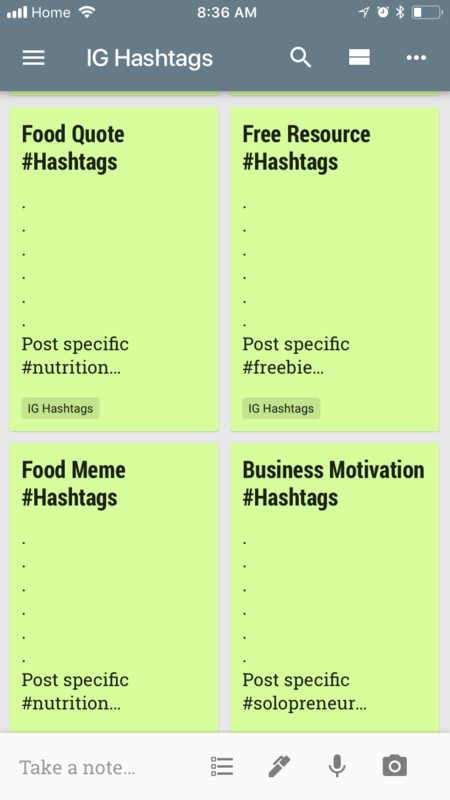 A hashtag with 10’000 posts will have about 20 posts per day. The fewer posts a hashtag has, the more chances you have of getting found. But on the flip side, less popular hashtags will have a smaller total audience following them. Follow this process for each category you listed in Step 1. Now that you have your post-specific tags locked down, it’s time to find your brand-specific hashtags. This section can vary greatly from one nutrition business to the next. This is the best place to list the hashtags that will help you reach your niche audience. If you’re not sure what to use, find 5-10 accounts that have the same niche as you and dig into their posts to see what tags they are using. You can also include a branded hashtag that is specific to your company alone (we could use #holisticnutritionhub or #HNHCommunity). Your brand-specific tags can be used in every post, combined with the right group of category-specific hashtags. Together, those give you 2/3 of the total tags and will already have a great impact on your Instagram success. To take it one step further, let’s find some tags that will help you target your audience geographically. If you work in person, these should target your town or general area. If you work online, the hashtags should correspond to the area where most of your potential clients live or post from. If someone searches that area specifically, they will be more likely to find your posts. You might have noticed that with the numbers outlined in the strategy above, you still have 5 hashtags available. Use those to describe precisely what your post is about (e.g. #greeksalad, #homemadesalad, #balsamicvinegardressing). These tags can be placed throughout your caption or at the end of it. To complete this step, use your favorite mobile note app (iOS Note and Google Keep are great options). Each category will have its own note, with all three kinds of tags combined (category-specific, brand-specific, and geo-specific). 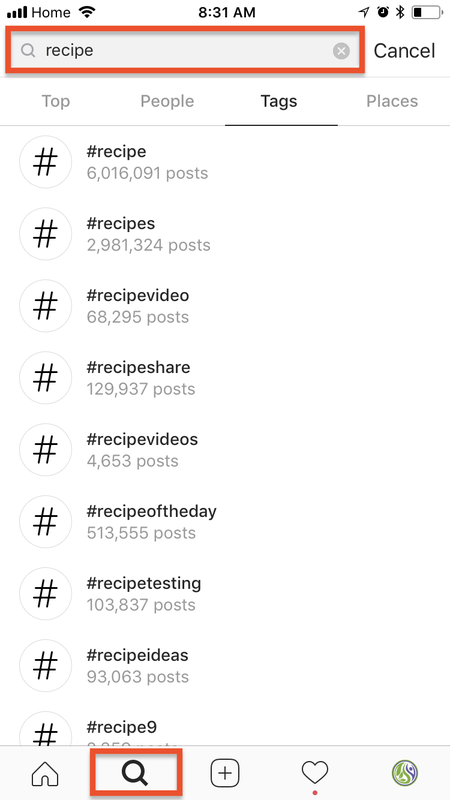 When you publish your Instagram post, simply “select all” and “copy” the note that corresponds to that post’s category to get the right hashtags. 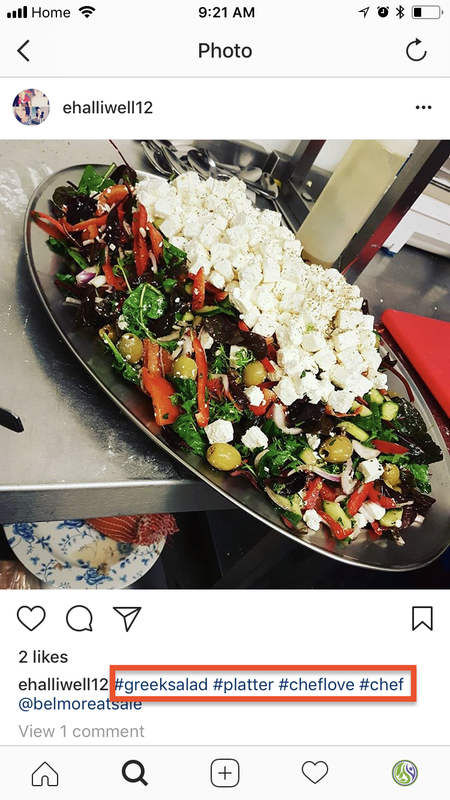 Step 7: Don’t Overload Your Caption! To avoid clogging up the post description, use the first comment to add your 25 hashtags in. You can “bump” older posts by adding hashtags to them (posting in the comments works fine). This will bring them back to the top of the list and give them a second life! Hashtag research will take you some time upfront but will turn your future posts into traffic magnets if done right. Use this strategy to boost your Instagram engagement and increase your chances of being found by the public! Question: how much engagement are you generating with this updated hashtag strategy? Compare your new, hashtag-optimized posts to your older ones and share your growth results in the comments below!